*BPC contestants should not contact judges, doing so may lead to disqualification from the BPC contest. From humble beginnings growing up in the Czech Republic to inclusion in Forbes’ vaunted 30 Under 30 list, Jan Bednar’s entrepreneurial journey has been a dynamic one. By the age of seventeen, he moved to the United States to learn English and go to school in pursuit of the American dream. Jan became everybody’s new best friend back home because he had access to American brands and products that didn’t ship internationally. The demand for American brands was so high that Jan turned these favors into a profitable business, ultimately winning a pair of business plan awards while attending Florida Atlantic University. Following his graduation in 2014, Jan propelled his package forwarding business even further by going through Tech Runway’s accelerator program. While attending Tech Runway and learning more about the antiquated shipping industry, Jan identified an opportunity to work directly with eCommerce companies and launched ShipMonk to focus on revolutionizing the order fulfillment industry. ShipMonk operates with one clear principle: leveraging technology to provide a one-stop-shop service for eCommerce companies. From inventory management to supply chain optimization, the end result of this tech revolution in order fulfillment is a cloud-controlled global supply chain for eCommerce businesses of all sizes. ShipMonk is projected to do $30 mil in sales in 2018. ShipMonk currently employs over 200 people between its Prague development office, Florida and California warehouses. Jan continues to work relentlessly on further enhancing its technology platform, integrating automation, and releasing ShipMonk’s first SaaS product for eCommerce businesses who want to handle their fulfillment in-house. Terri-Ann Brown currently serves as a mentor for the Venture Mentoring Team, a nonprofit educational 501(c)(3) dedicated to fostering the startup community by training and credentialing Mentors and then connecting them with the best and brightest entrepreneurs to help startups reach their full potential. In 2015 she helped to launch the South Florida chapter of the Founder Institute, a global accelerator program that prepares entrepreneurs from idea stage to launch. Terri previously co-founded a startup in the dental technology field and mentors in the Broward College Startup Now program. Growing up around the fresh waters of Lake Michigan, Tony has always had a passion for the environment. After 15 years of executive leadership in ecommerce, marketing, merchandising, private label, 3rd party marketplaces, and international expansion, he seized the opportunity get back to his roots and use his talents to support the ocean cleanup company 4ocean as its Chief Operating Officer. With Tony’s guidance, the company is changing society’s perception about single-use plastics, raising awareness about the impact of plastic in ocean, and shifting traditional manufacturing methods to more sustainable alternatives. Tony’s career as a global executive is peppered with some of the biggest names in ecommerce. He was instrumental in building Amazon’s private label program, AmazonBasics, and Groupon’s third pillar of business, Goods. He’s driven revenue growth in multi-billion dollar P&L’s for other Fortune 500 companies like GE and Sears. He’s also led ecommerce transformations for private equity and venture capital exits with companies valued between $50MM and $100MM. Under his direction, the 4ocean team and business have grown over 5x in the last year. Author, entrepreneur, and speaker Tim S. Marshall (https://timsmarshall.com/) built a Florida-based tech start-up featured as one of Inc. Magazine's "Fastest Growing Companies in America" for 4 years in a row, experiencing record-breaking growth and "thriving through three of the toughest years, seen in the living memory of Corporate America." - Inc. magazine. Tim has consulted with Fortune 500 companies, CEOs, and professional athletes (he was the keynote speaker at the 2016 and 2017 NFL Jacksonville Jaguars Draft Days) and has appeared as a keynote speaker at universities and corporate seminars throughout Florida. Amalia Santiago comes from the U.S. Patent and Trademark Office where she has worked for the last 31 years in various technical and managerial roles, beginning as a patent examiner in the chemical engineering and sterilization arts. She subsequently served as Chief Administrator of the Board of Patent Appeals and Interferences, where she directed all administrative matters of the tribunal. As the Board became the Patent Trial and Appeal Board under the America Invents Act, she served as Chief of the newly created Data Analysis and Process Improvement Branch. She currently serves in a mentor and advisory role to the Branch as a patent administrator where she's engaged in quality, data, and process improvement projects. She also provided patent lectures at the agency's Patent Academy and to visiting foreign delegations. Amalia received a Bachelor of Chemical Engineering from the University of Puerto Rico at Mayaguez, she is an FAU MBA alum (1987), and received a Masters Certificate in Project Management from the George Washington University. Alan Stanford is a senior executive with extensive financial, mergers & acquisitions and administrative experience in public and private companies. He has worked in large entities and entrepreneurial environments. He recently ran Finance for Nordic Aviation Capital, the largest lessor of regional aircraft and the fourth largest commercial aircraft lessor. The company is headquartered in Ireland, with corporate offices in Denmark, the United States and Singapore. It owns and manages a portfolio of over 450 aircraft and had $7.8 billion in assets and $735 million in revenues in the fiscal year ended June 30, 2018. During his tenure, total assets and total revenues increased by $970 million and $366 million, respectively. He was responsible for restructuring the company’s finance department and integrating three acquired companies. He currently heads the company’s Special Projects Group focused on acquisitions, operating and financial strategy and is now based in Fort Lauderdale, Florida. He was previously a shareholder and Chief Financial Officer of Jetscape Aviation Group, a private company engaged in commercial aircraft leasing to airlines worldwide and based in Fort Lauderdale, Florida. He was instrumental in growing the company from a start-up to the premier lessor of regional jets. The company was sold to Nordic Aviation Capital in 2016. Mr. Stanford started his career with EY in the Los Angeles office. He graduated from the University of Colorado – Boulder with a Master of Business Administration and from the University of Denver with a Bachelor of Arts in Business Administration. Design director, author and entrepreneur, Karen S. Herman, is a leading design expert on disruptive retail. With a professional career that began in New York City, working with renowned design and architecture firms, and for major brands like Calvin Klein, she has completed many successful projects throughout the US and abroad over the past 25 years. Karen is a passionate entrepreneur. In 2011, she completed the Kauffman FastTrac New Venture Program for Women and received an award during Global Entrepreneurship Week for a video on Strategic Stores. In 2013, she founded Gustie Creative, a design firm that creates end-to-end sustainable design solutions and specializes in Disruptive Retail. In 2015, Gustie Creative designed the highly innovative Live Media Trading Room for Zimmerman Advertising in Fort Lauderdale, Florida. Karen’s latest entrepreneurial venture is the launch of Create Disruptive Retail, the premiere design platform for disruptive retail solutions for brands, businesses, agencies and non-profit organizations. Karen is an active member of the Retailwire BrainTrust and a contributing writer to Simply the Best magazine. Gustie Creative is proudly located in the vibrant ecosystem of the Research Park at FAU in Boca Raton, Florida. Based in Cherry Bekaert’s South Florida practice, Cris is a Partner in the Firm’s Audit and Assurance practice. Experienced in working with domestic and international investment funds, Cris provides guidance to partnerships, privately held and publicly traded companies in the U.S. and abroad in the areas of auditing and assurance, and merger and acquisitions. His expertise includes preparation of financial statements in accordance with standards prescribed under U.S. GAAP, IFRS and the PCAOB. With over 20 years of public accounting and private business experience, Cris has supported companies in the real estate, construction (residential and commercial), franchise, hospitality, retail, investment funds, healthcare, manufacturing, distribution, professional services, insurance and technology industries. In addition to providing accounting, business, and tax consulting services, he has assisted companies in the development of strategic plans, corporate reorganizations, debt and equity financing, mergers and acquisitions, due diligence and litigation matters. Cris is a member of the Firm’s South Florida THInc® practice—a specialized practice of dedicated experts serving innovative clients in the technology, health and industrial sectors. 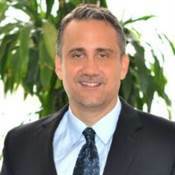 Prior to joining the Firm, Cris was a director at a South Florida-based professional services firm. He also held positions with regard to managing audits and consulting engagements at an international firm and various-sized regional firms. Small Business Digital-focused executive with 12+ years leading teams in technology start-up and large company settings, Small Business Expert, functional leader, partner solutions architect. Track record of delivering great solutions to US and international Small Business within those markets using a combination of business, technology, design and people leadership skills. Key strengths include launching new innovations, developing capabilities, driving customer awareness and usage of new products, and working collaboratively across business unit lines to achieve results. Carlos has an MBA from the University of Miami. He has worked 12 Years within the financial industry, specializing in Small Business / Deployment and Product / Project Management with ongoing optimization. He has experience building and leading teams of product managers, engineers, designers, external vendors and supporting functions. Carlos’s other skills include user research and customer centric product design, product vision, roadmap and planning, KPI’s and goal tracking, and agile development. Karrie C. Prehm is the founder and CEO of Global Regulation Advisers Corp (GRA), an asset management compliance consulting firm based in South Florida. Ms. Prehm has devoted two decades of her career to serving as a trusted adviser to senior executives in the Financial Services Industry worldwide. Ms. Prehm has partnered with over 150 buy-side asset management firms on strategic and tactical initiatives that include implementing Order Management and Compliance software systems, integrating third party market data, building startup Compliance Programs, leading cultural and operational transformations, and performing triage for banks and investment firms that struggle with regulatory fines and deteriorating investor trust. Since launching GRA in 2014, surveillance on more than $2 trillion of U.S. investor monies have been strengthened under the guidance and direction of Ms. Prehm. Prior to establishing GRA in 2014, Ms. Prehm held senior positions at Charles River Development (CRD), a leading FinTech company, for 9 years where she designed the implementation strategy for the Charles River Data Service startup division, and successfully built the Compliance Consulting Service from inception. Before joining CRD, Ms. Prehm was a global manager at Franklin Templeton Investments where she gained in-depth expertise in Portfolio Accounting and Compliance Operations. She was selected to lead Franklin Templeton’s key initiative to implement a 24/7 real-time automated trade surveillance process using Charles River’s Portfolio and PreTrade Compliance System across 8 trade desks and 11 countries. Ms. Prehm began her career at Bank of America where she performed general ledger accounting, conducted research for subpoenas, and enforced Federal Reserve regulations on banking activity. Ms. Prehm earned a B.S. in International Business and Trade, a minor in Economics, an Executive MBA from Florida Atlantic University, and a Women’s Director Development Program Certificate from Northwestern University – Kellogg School of Management. Ms. Prehm is an ACAMS Certified Anti-Money Laundering Specialist (CAMS), an active member of the National Real Estate Association, and is involved with several charities through HandsOn Broward. She has been featured in U.S. News and World Report articles on consulting practices and business transformation. In 2017, Ms. Prehm was honored as FAU’s Outstanding Young Alumni and was awarded the Stevie Silver Award for Female Executive of the Year. Paul Tanner is the Managing Director and Founder at Las Olas Capital Advisors. He has 34 years of experience in the financial industry. He was a Senior Vice-President for several Wall Street firms including UBS, Lehman Brothers, and Morgan Stanley. Paul graduated from Florida Atlantic University, where he previously served as Trustee. Paul also served as a Trustee for Broward College, and he is a current Trustee on the $600 million Fort Lauderdale General Employees’ Pension Plan. He has sourced and raised approximately $2 billion in capital via private equity funds, private investors, and institutional investors over the past 24 years. Paul currently lives in Fort Lauderdale with his wife, Jodi. They enjoy spending time with their three sons: Stephen, Garrett, and Jerrod. 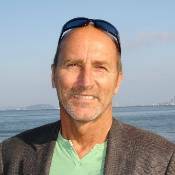 Jim Walker is the CEO and founder of CloudHesive, a cloud integration and managed services company with headquarters in Fort Lauderdale, Florida and a satellite office in Buenos Aires, Argentina. Prior to starting CloudHesive, he worked for several distinguished technology companies. Most recently Mr. Walker was Sr. Director of IT and SaaS Operations for e-Builder, a SaaS company located in Plantation, Florida. Prior to working at e-Builder, Mr. Walker was the Global Head of Cloud Operations and Security for Pegasystems located in Cambridge Massachusetts. While at Pegasystems, Jim was a member of founding team that incubated and grew the Pega Cloud service offering into a global solution. Pega’s Cloud operation had several thousand cloud instances implemented on Amazon Web Services which provided mission critical global cloud deployments for Fortune 500 companies. Before joining Pegasystems, Jim was the CTO of Arise Virtual Solutions which is an at home contact center company, located in Miramar, Florida. While with Arise, he oversaw the security and core technology platforms that helped grow Arise into an international contact center company that handles millions of customer interactions annually for Apple, Carnival Cruise Lines, AT&T and other distinguished brands. Chris is the Founder & CEO of Elevated (Candidate.Guru + Elevated Careers by eHarmony), the first ever artificial intelligence-based all-in-one employee engagement, employment branding and job candidate matching platform. Prior to Candidate. Guru,Chris spent 4 years as a Partner with Acertitude (formerly Technology Executive Group), a New York-based leadership consulting and executive search firm. Chris brings more than 25 years’ experience in human resources and customer experience technologies, enterprise software and big data & analytics. He applies in-depth knowledge of corporate strategy, emerging technologies and large-scale global business development to help clients understand the trends, competitive dynamics and market realities impacting their talent strategies. Immediately prior to joining Acertitude, Chris was based in London as the VP, Financial Services Business Unit for NICE Systems (NASDAQ: NICE), a $1B enterprise software company headquartered in Tel Aviv, Israel. Chris had global P&L responsibility for the company’s products and services sold into the financial services market. Previously, Chris served as CEO at Nicom Technologies, Inc., a leading telephony VAR tha the exited to a $200M+ systems integrator. He also held several Vice President Positions with Avaya managing indirect channels and global accounts withrevenue responsibility in excess of $250M. Chris serves on the Boards of several early-stage technology companies including Clarify (a Techstars company) based in Austin, TX as well as Candidate.Guru, a Florida-based talent acquisition technology start-up apart of Florida Atlantic University’s (FAU) Tech Runway incubator program. Martin Greenberg, 2018 Platinum Sponsor of the FAU Business Plan Competition, is a native of Brooklyn and a graduate of Hofstra University where he majored in accounting. He has had a long and varied career. For 10 years, he worked with a family firm that imported rubber raincoats and sporting goods and then spent six years as a solo entrepreneur in which he underwrote deals on Wall Street and worked on corporate liquidations of overstocked merchandise. Starting in the 1970s, he began trading silver and built a trading business called Sterling Commodities Corporation. The company buys and sells commodity contracts on a spot or future basis for its own account or for the accounts of others. 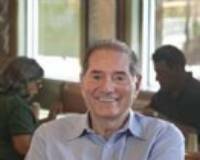 Marty was elected chairman of the Commodity Exchange, Inc., in 1990. He also served as a governor on the New York Board of Trade from 2004-2007. Among his many affiliations and directorships, he has served for several years as a trustee at Hofstra University, Long Island’s largest private college. He has served Hofstra as chair of the audit and athletics committees and vice chair of the endowment committee. Jim Ryan is a 20+ year entrepreneur, investor and business leader developing world class marketing and channel strategies for many of the Global 500 with expertise in the fields of customer experience, research and technology solutions. Founder and CEO of Talk2Rep. Talk2Rep is a 15+ year international business process outsourcer specializing in teleservices and live chat. With nearly 1000 employees servicing global brands, Talk2Rep is nationally recognized on the INC 5000 and was awarded the 8th fastest growth employer in the US in 2012. Today, Talk2Rep has several operations including a @Home work force with remote agents throughout the US and Nearshore Operations in the Dominican Republic. Based upon the success of Talk2Rep, Jim started TechNearshore with the interest to disrupt the technology outsourcing model by simplifying tech outsourcing . Dealing with offshore software programmers is often a frustrating process interacting with India and foreign countries. TechNearshore acquired Enteractiva , forming a new paradigm in the market with highly educated, English speaking programmers less than 2 hours from Miami, Florida. TechNearshore is headquartered in the US with modern industrial facilities in Santo Domingo, D.R. giving US companies a reliable and transparent resource for software development. Jim Ryan is a regular conference speaker and panelist having lectured at several universities including AIU, FAU and more on Entrepreneurship. Mr. Ryan is also a Co-founder of the Venture Mentoring Team, a not for profit 501(3)(c) Mentoring program fostering growth of early stage start-ups supported by a Multi-University and Accelerator eco-system..
Mr. Ryan advises several companies and has multiple investor positions from Start Ups to 25mm+ with active board member roles. Jim also partners with Lighthouse agencies in a mission to greater employ those that are blind and sight challenged throughout the US. Entrepreneur, Investor, Mentor, and Executive with over 20 years of business experience in the retail, medical, hospitality, and marketing industries. Guest Speaker on entrepreneurship. Claudio Sorrentino left the nation’s largest MedSpa to found Body Details and become its Chairman and CEO. Claudio is a born entrepreneur and innovative thinker with broad-based expertise in operations, finance, marketing, leadership, and business development. He has a proven ability to quickly analyze key business drivers and develop strategies to grow the bottom-line. He has more than 21 years of leadership, marketing, sales and hospitality experience and 12 years of medical industry experience. 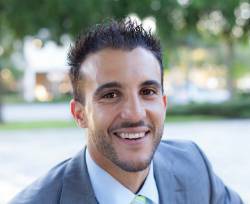 Mr. Sorrentino graduated from Florida Atlantic University with a dual major Bachelor’s degree. Body Details is currently the largest provider of cosmetic laser services in Southeast Florida. I am a Business Coach who offers programs and strategies to under-performing businesses, entrepreneurs, and inventors. As a former inventor/entrepreneur myself, I understand the difficulties and hurdles encountered as a small business developer. I assist my clients in preparing an Exit Strategy and the plans necessary to achieve their objectives. Coaching the Winner's Edge is a private consulting company offering counsel and guidance to both private individuals and corporations. As a Partner and Vice President of Sales, Barry was responsible for training, hiring, program development, marketing, team building, budgeting and creating customer loyalty programs for Continental Farms. He led the sales team to meet or exceed targets through performance management, coaching, and ensuring the team had both the knowledge and capability to deliver exceptional performance. He ensured there was a comprehensive and effective succession management strategy in place for the sales team. He designed and executed an extensive sales training program. He consistently implemented new, innovative approaches to expand revenues. Result oriented - Solution oriented - Action oriented, Barry was responsible for twenty-two years of positive growth. He increased revenues to $75M annually. Barry designed and executed an intensive training program that resulted in a dramatic turn around in a corporate culture for a 25+ year old, $50M company. They experienced their best year ever in business! Barry implemented a complete training program for sales and sales management that was linked to corporate vision, values and strategic plan for a company that after fifteen years of positive growth, the company had leveled off at $29M in revenues for three consecutive years. Barry dramatically increased gross sales to $35.5M in fifteen months. Barry forged a strategic relationship with the CEO of a $6M company that was experiencing a sharp decline in sales for the first time in their 8 year history.Barry designed and implemented training programs and business strategies that resulted in a 50% increase in revenues. 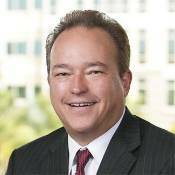 Tom Mersch is a Partner in the firm’s Fort Lauderdale Office. Tom has extensive experience in providing advice and guidance on Business Transactions and Data Privacy and Security Matters. In addition, Tom plays a key role in the firm’s marketing and business development efforts. Tom has over 30 years of experience as an attorney, corporate counsel, entrepreneur and businessman in multiple sectors including information technology, e-Commerce, finance, travel and government. Hired as the general counsel for a large internet retailer in need of restructure, Tom navigated their business both legally and operationally from near collapse to solid growth. In 2002 Tom founded and funded an online asset recovery services firm that he sold in 2008. Tom has held influential legal leadership positions with a number of firms, formerly serving as attorney for the Delta Airlines Dream Vacations Program, General Counsel and Vice President of Business Development for UCS, Inc. (a software company that was eventually acquired by SunGard Data Systems) and as President and founder of an internet-based business services outsourcing company with over 300 employees worldwide. For the five years immediately prior to joining Kelley Kronenberg, Tom was General Counsel for Channel IQ a rapidly growing Chicago based “Big Data” software provider for over 300 of the Worlds’ largest manufacturers. Tom was also the managing director of Channel IQ’s Spanish subsidiary. Tom is a licensed attorney in Florida and Mississippi, earning his JD from the University of Mississippi and his BA from Southern Methodist University. Tom contributes his time and talents as a founding mentor to Florida Atlantic University’s Tech Runway Accelerator and FAU’s Adams Center for Entrepreneurship. He has advised start-ups and rapidly growing businesses including the past winner of both the FAU and Enterprise Florida Business Plan Competitions. Tom is also a judge for The Cade Innovation Prize competition. Partner Coopers & Lybrand (National Director of Mergers and Acquisitions, Regional Director of Real Estate, Advisor to Corporate Finance Departments of a Number of Prominent Investment Banking Firms. I am a businessman with a strong affinity to help aspiring students develop the confidence and knowledge necessary to be more successful in either an entrepreneurial or professionally managed business environment.